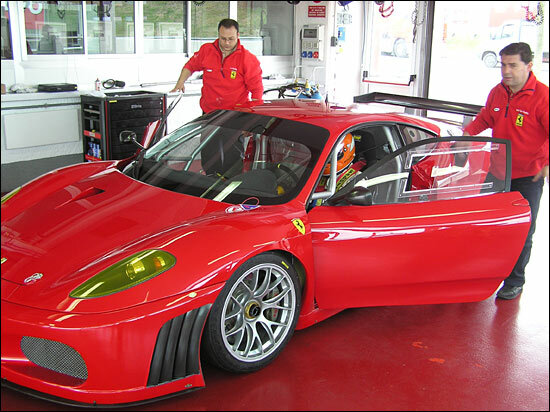 The Virgo Motorsport Ferrari F430 GTC was shaken down at Fiorano on March 17 – coincidentally just one day before the model’s race debut at Sebring, in the hands of Risi Competizione. Dan Eagling and Ian Khan were present to put the Virgo car through its paces last Friday, and Team Manager Chris Warne comments that “Dan said that the car felt tremendous and that he could not wait to start serious testing in the UK later this week”. That should be at Donington Park. Tim Sugden will be joining Eagling and Khan for the Le Mans Series Races this year – in what should be a very competitive GT2 entry.